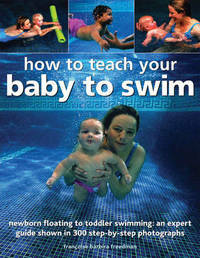 From newborn floating to toddler swimming, this is an expert guide shown in 300 step-by-step photographs. This is a compelling introduction to the Aqualight approach to water training - a unique series of exercises to encourage co-ordination, strength and confidence. Starting with holding your baby in water, you can learn how to swim with your baby on your front or back, and experience the thrill of watching your baby swim freely and unaided for the very first time. It is packed with entertaining games and activities to enhance mutual enjoyment in water for you and your baby or toddler. It answers the most frequently asked questions concerning choosing pools and equipment, and the safety of babies in the water. In this book, Francoise Freedman shares the knowledge and expertise that led her to develop Aqualight: the approach to introducing babies and toddlers to the world of water. Immersing your baby is completely safe when done correctly through a gentle and progressive approach. Aqualight water training is a sequence-based programme. Each sequence is self contained and offers parents scope for further practice. Skills and strengths are gradually developed through sequences unique to each particular child. Babies can start from as young as ten weeks, and can adapt readily to the techniques at any time during their first year. 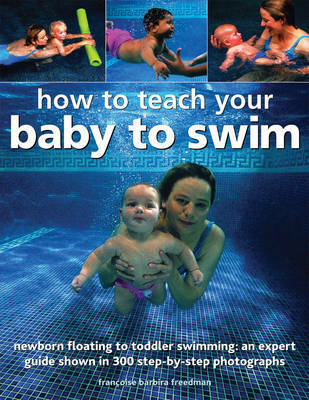 Additional techniques, with and without swimming aids, address the needs of toddlers up to two-and-a-half years old. Dr Francoise Barbira Freedman was educated in Paris and Cambridge, England. Francoise's pioneering interest in baby water training stems from her experience as a swimming instructor and as an anthropologist in the Amazon, where she was inspired by the way parents played with their babies in the water.. Her books, including Postnatal Yoga and Aqua Yoga, and television appearances are recognised internationally.